DescriptionSip cocktails, bubbly or juices from these adorable candy-stripe straws. With a pleasing colour combination of teal and white, the straws complement all types of glassware or can be paired with our paper cups. Each pack contains 25 Paper Straws. 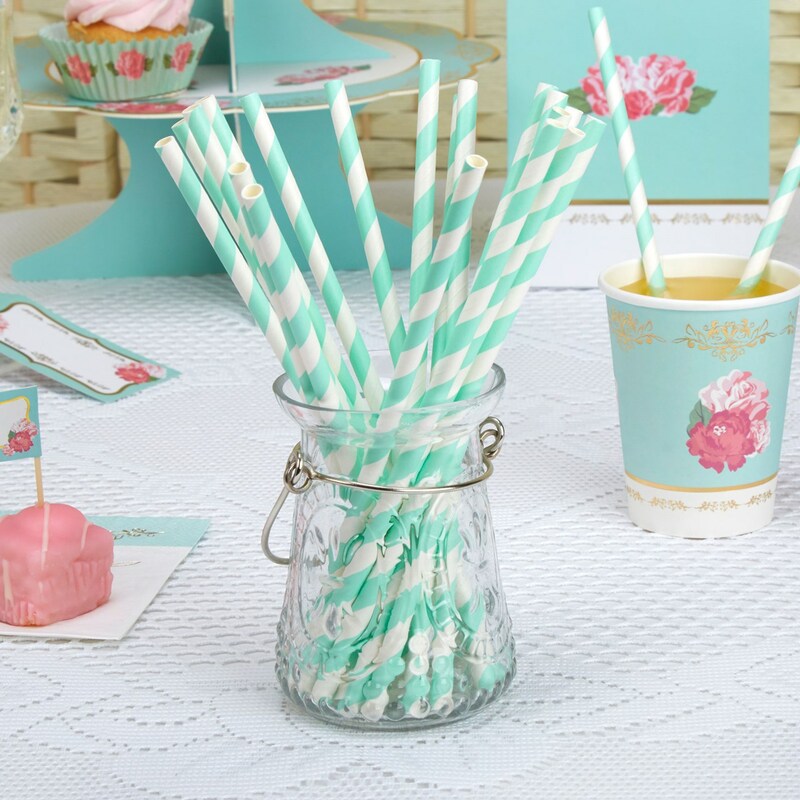 Sip cocktails, bubbly or juices from these adorable candy-stripe straws. With a pleasing colour combination of teal and white, the straws complement all types of glassware or can be paired with our paper cups. Each pack contains 25 Paper Straws.